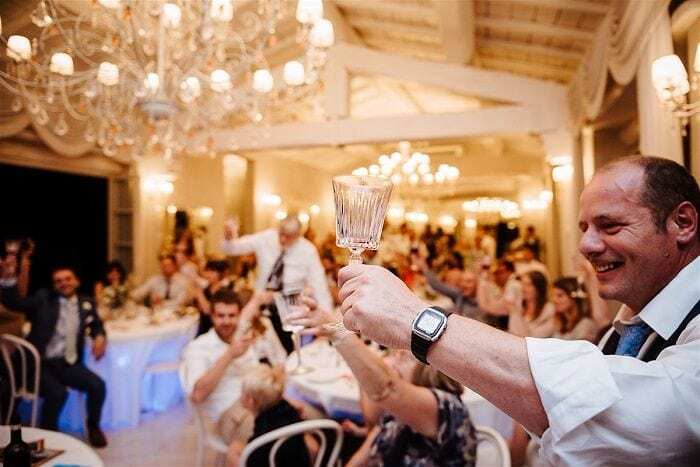 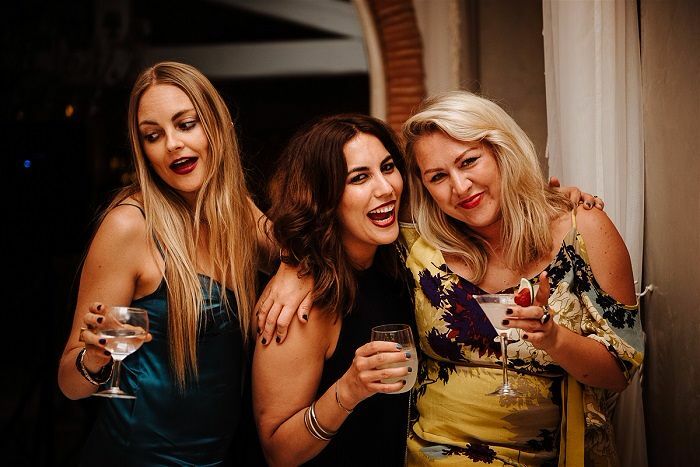 One of the major benefits of a wedding abroad is the extended time you have to celebrate with your family and friends… and finding the right venue is often the key to this unfolding in the perfect way! 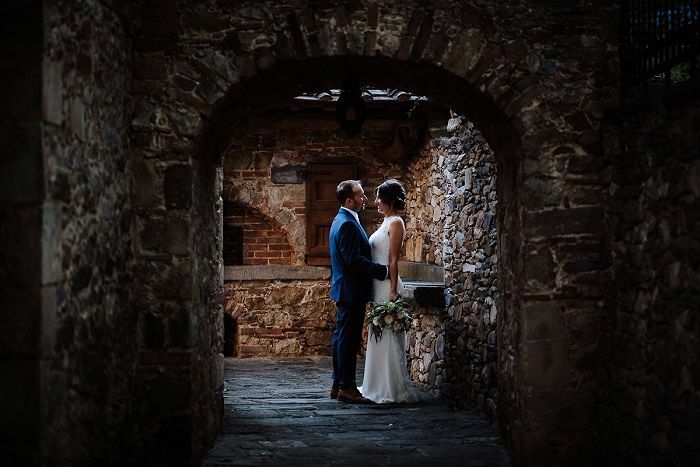 With help from their wedding planner Weddings in Tuscany, Joanna and Ciro chose a unique 17th century wedding hamlet in Tuscany, Valle Di Badia, to host their weekend celebration for fifty five of their closest family and friends. 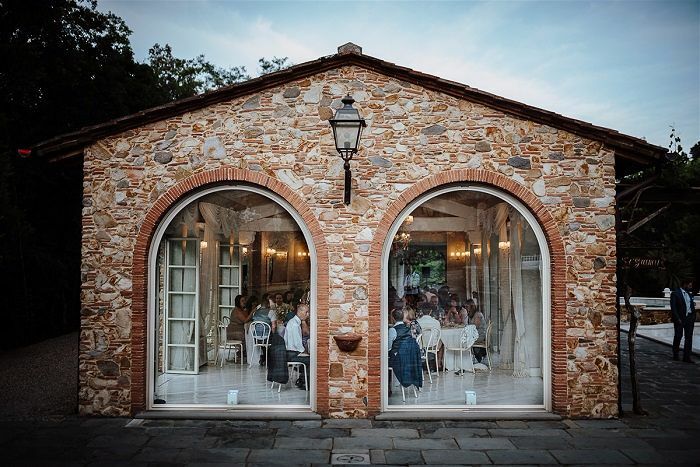 Located in the middle of the Tuscan hills yet still within easy reach of the Pisa, Valle Di Badia is the ideal setup for a wedding abroad. 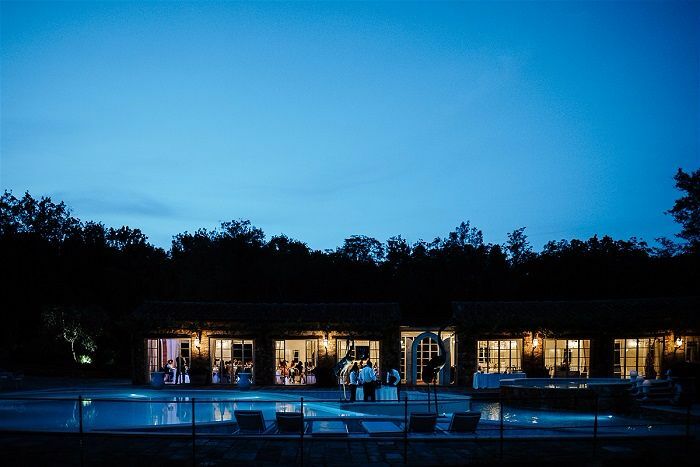 The exclusive venue offers a home away from home feeling, allowing family and friends to be together yet still affording them privacy, with plenty of accommodation and outdoor space. 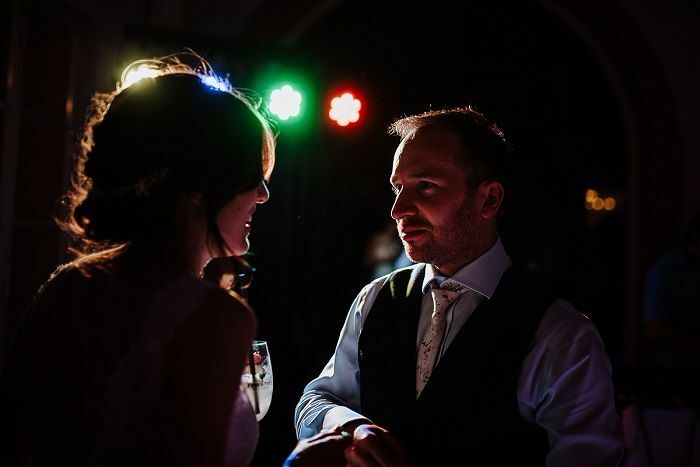 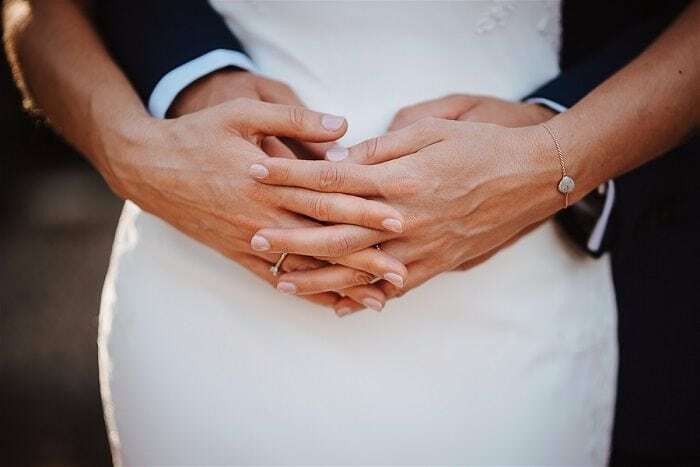 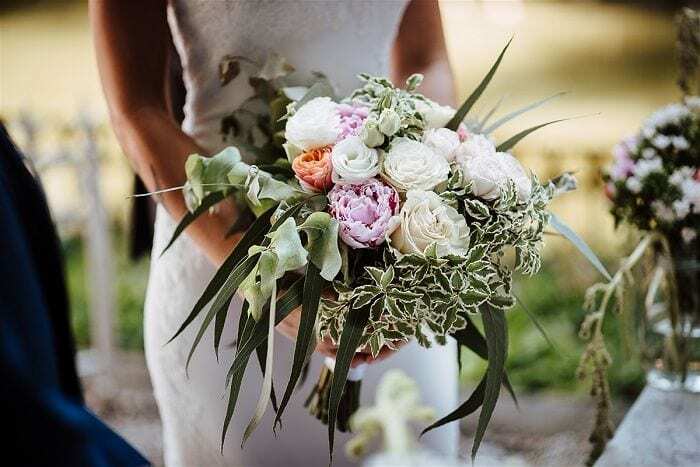 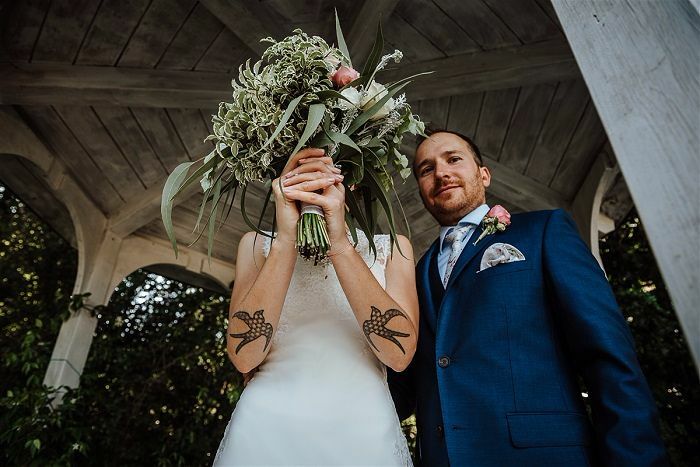 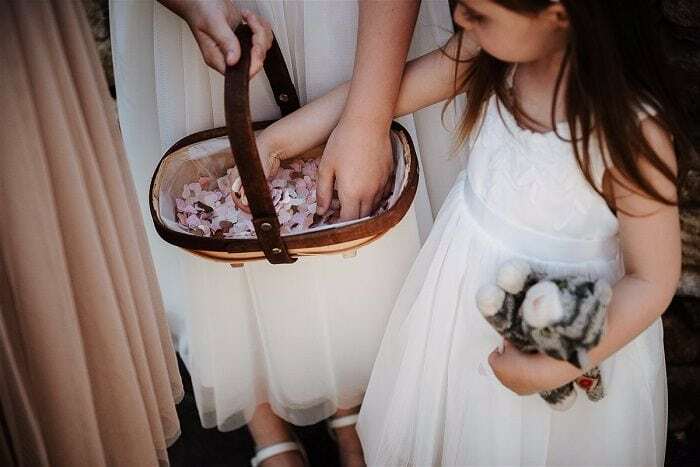 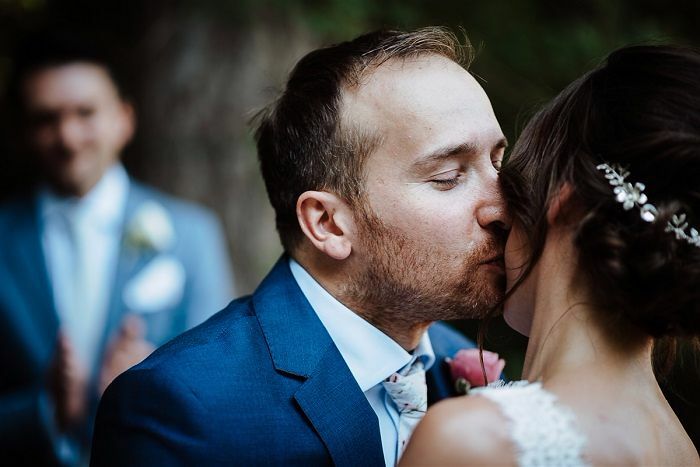 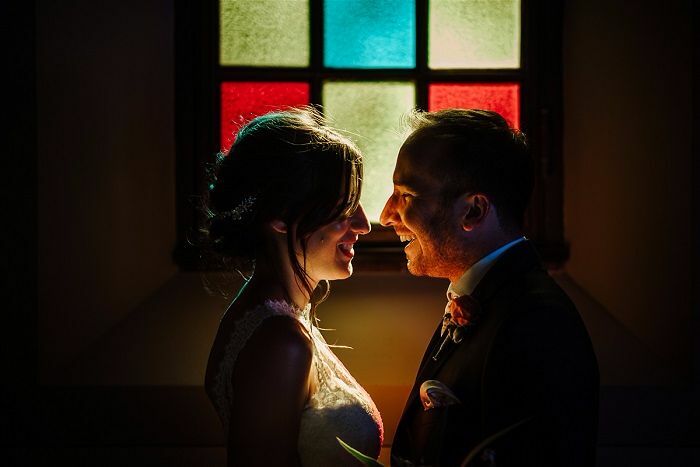 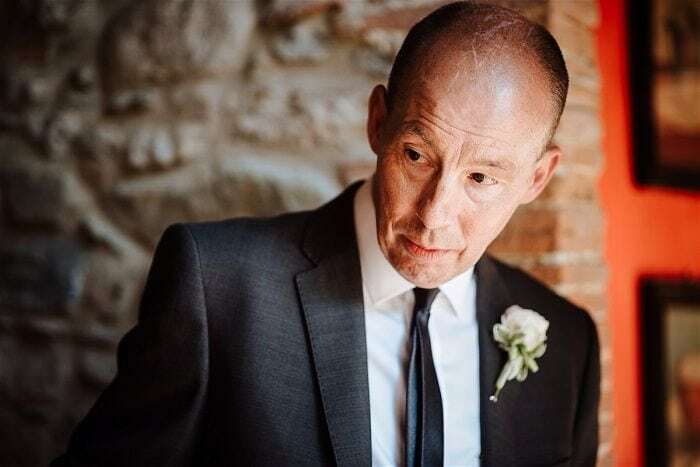 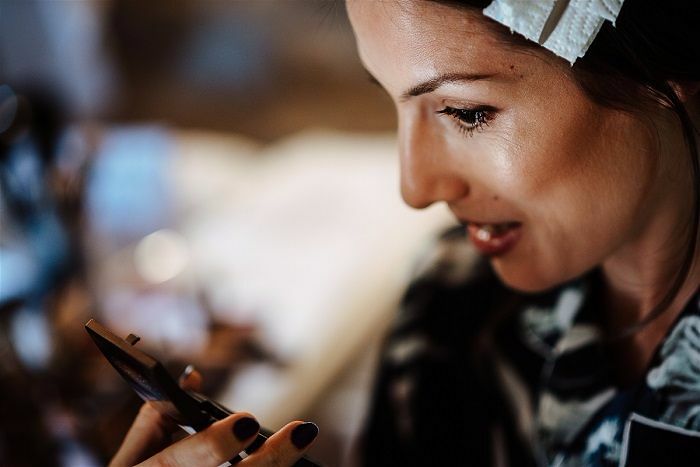 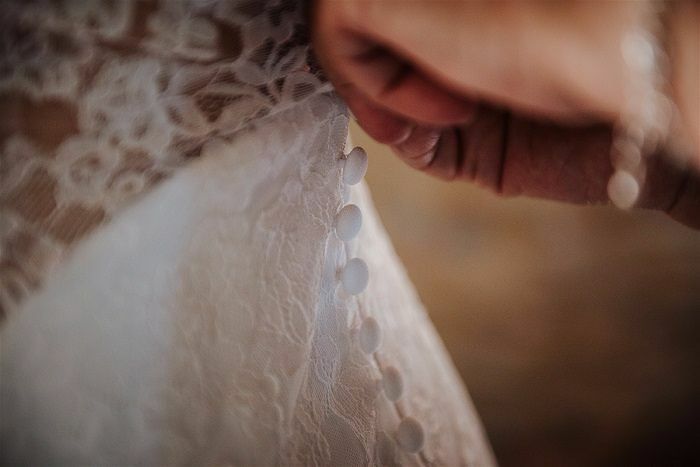 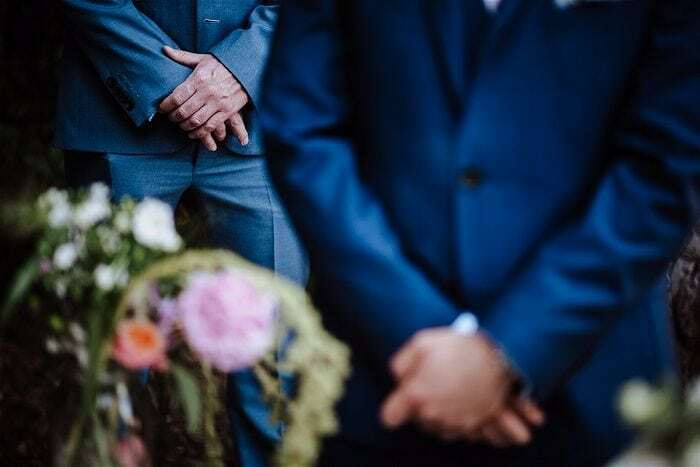 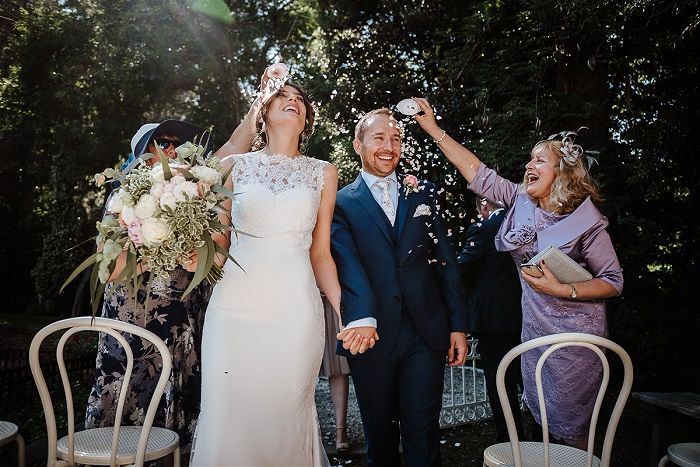 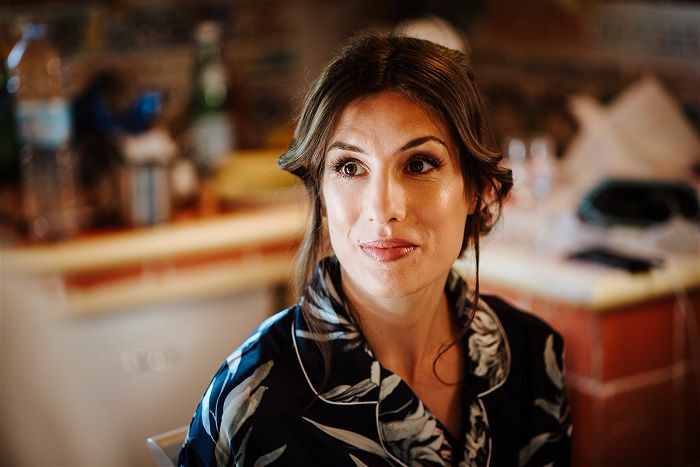 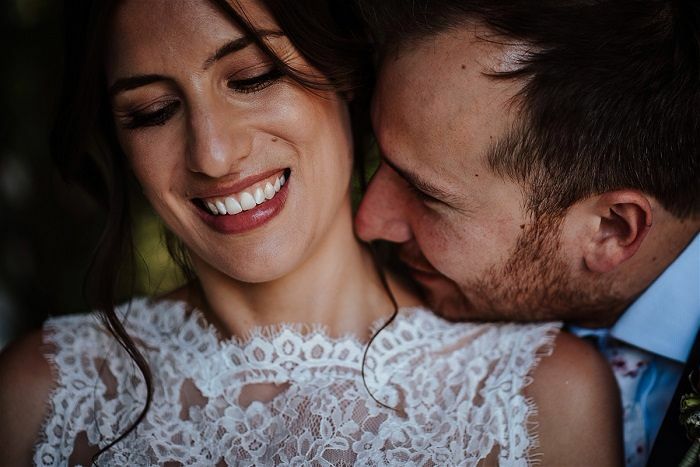 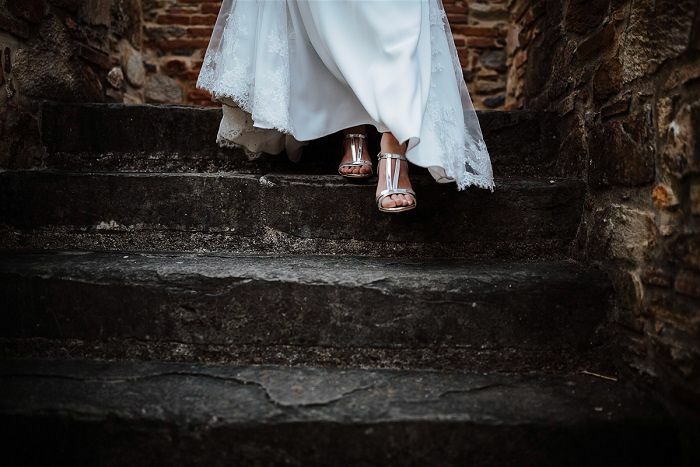 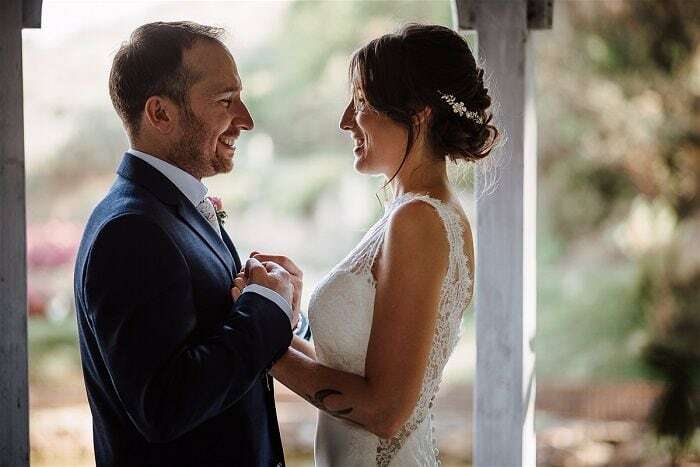 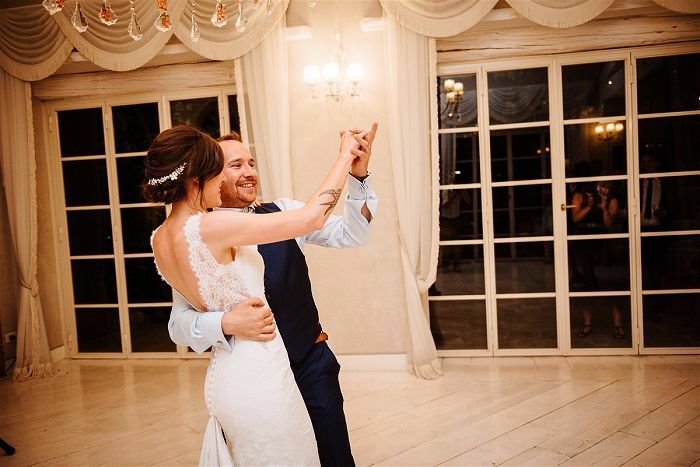 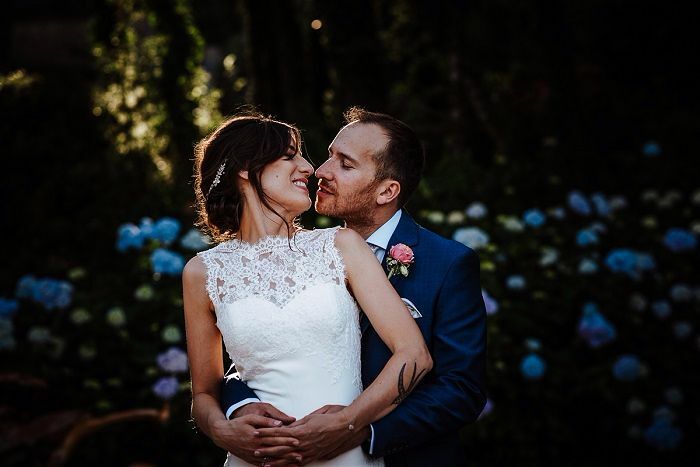 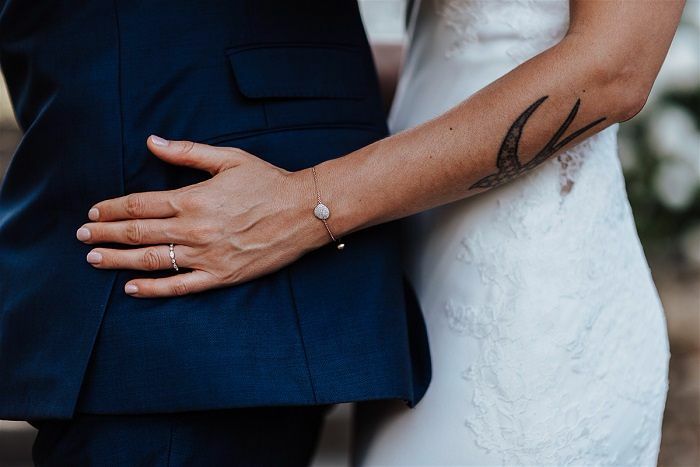 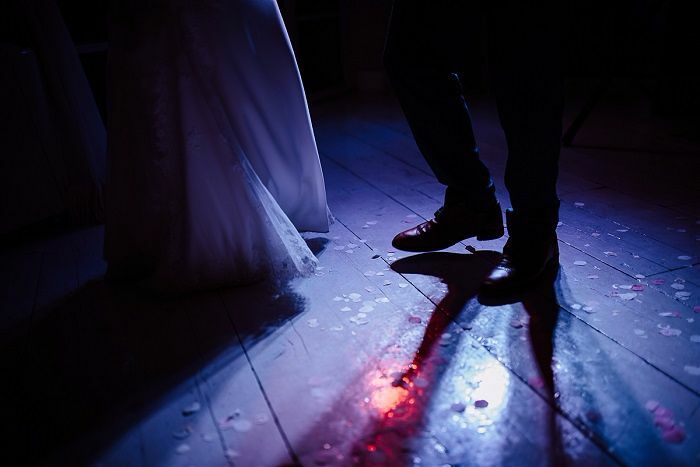 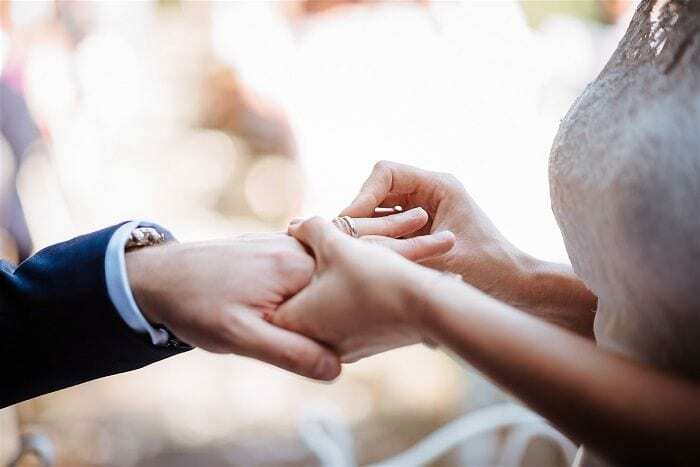 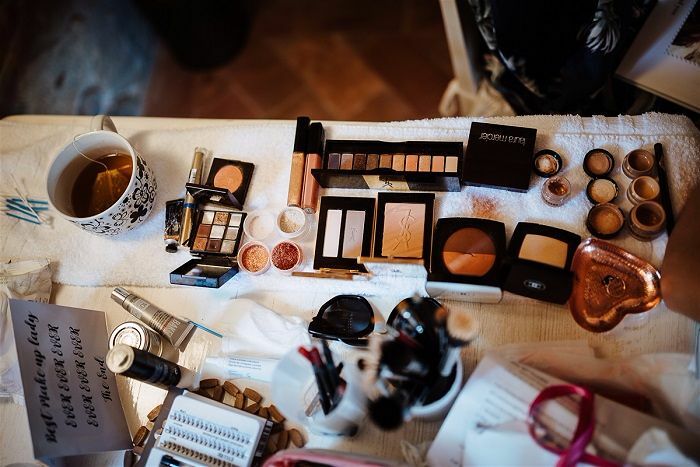 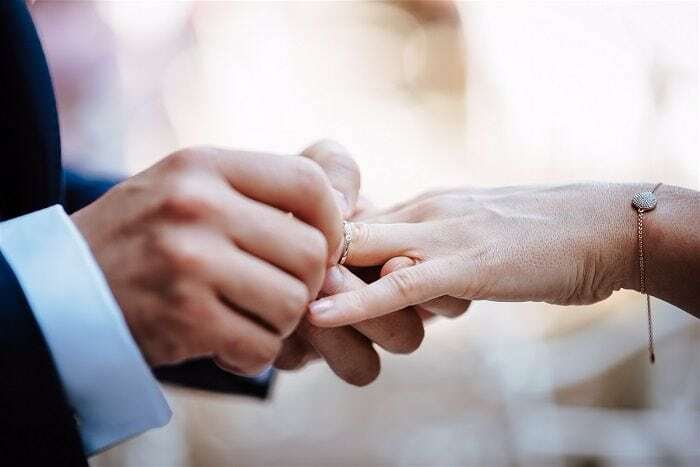 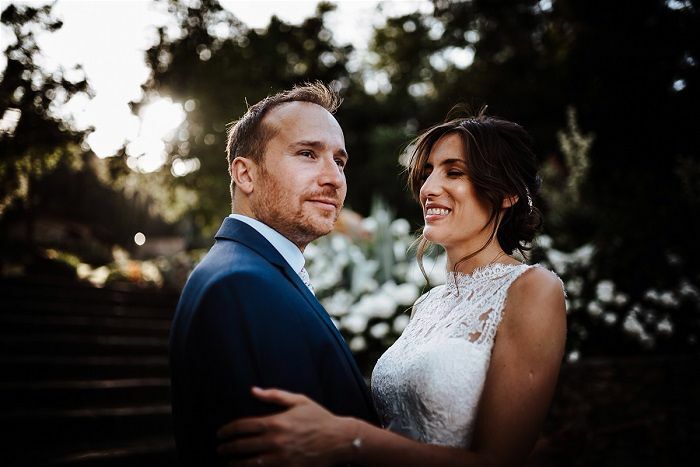 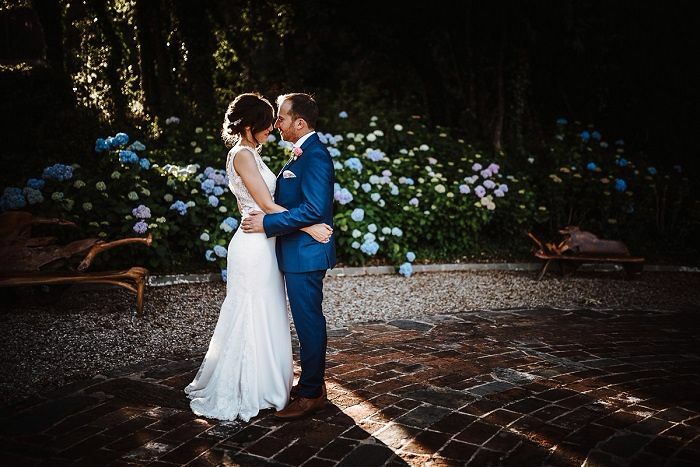 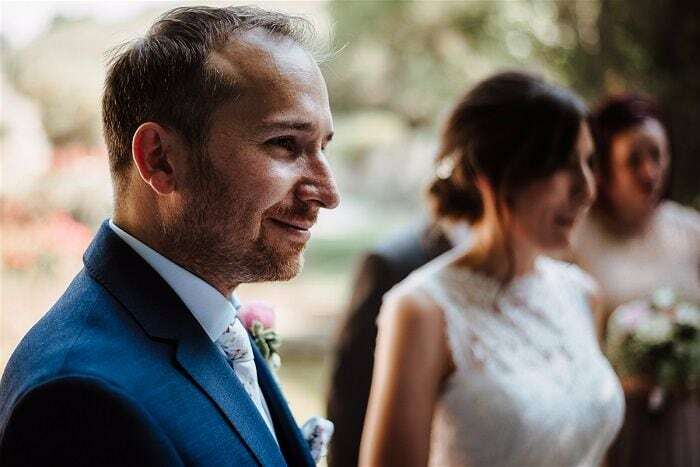 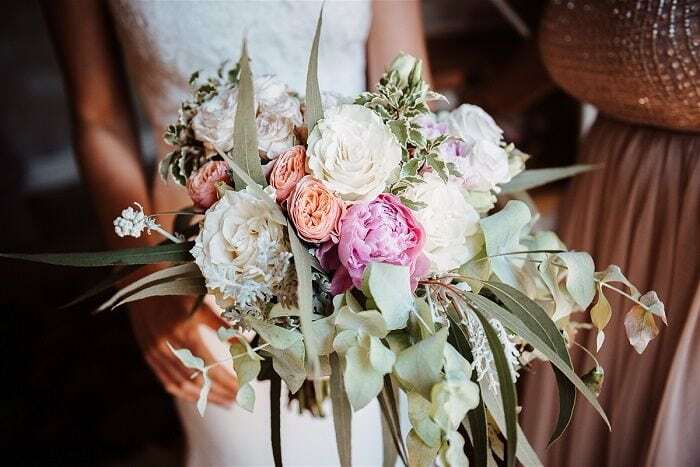 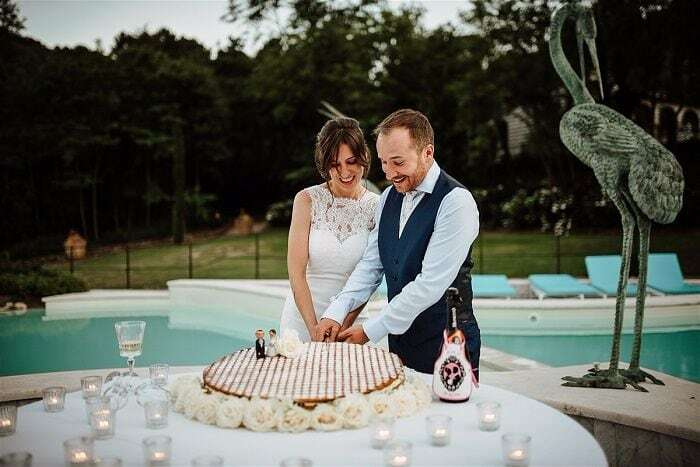 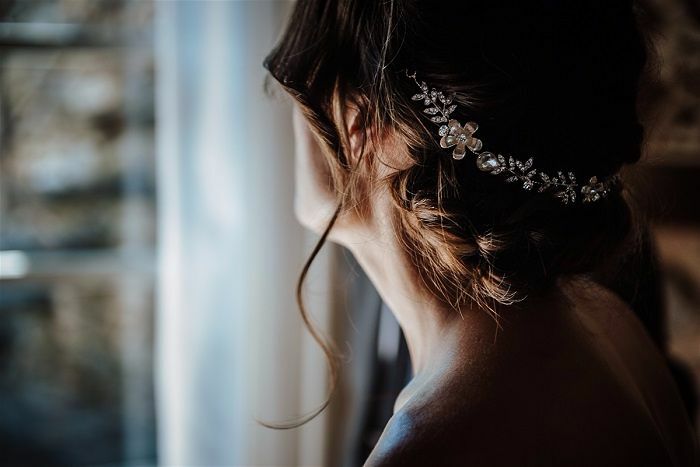 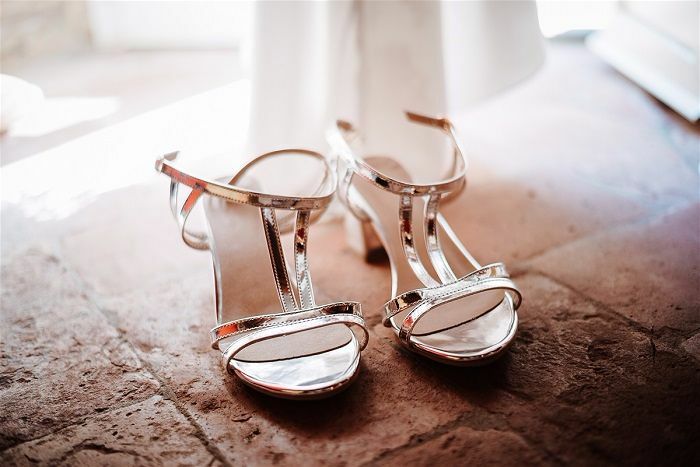 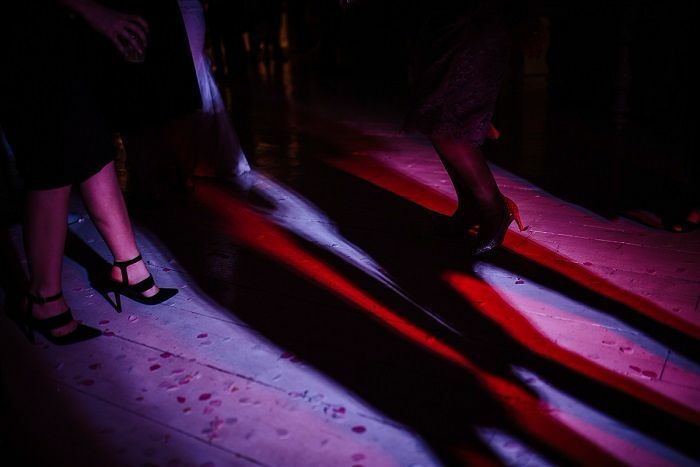 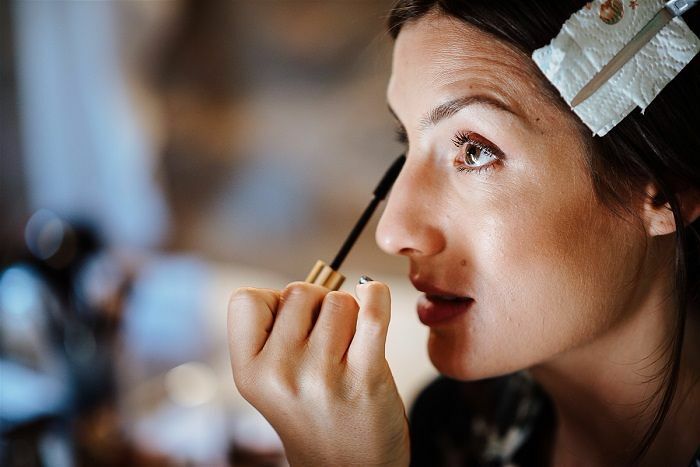 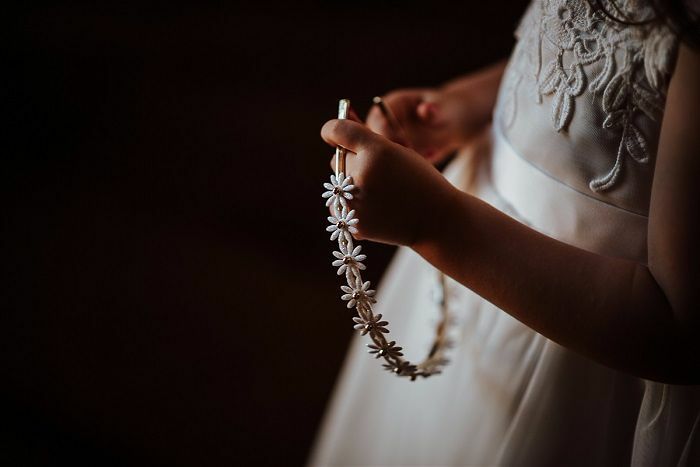 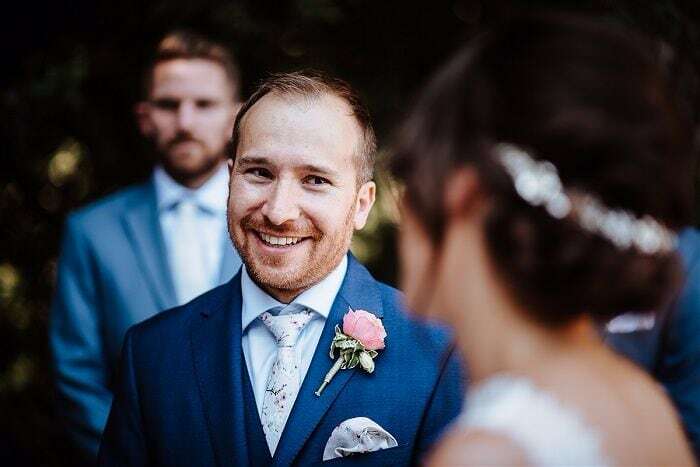 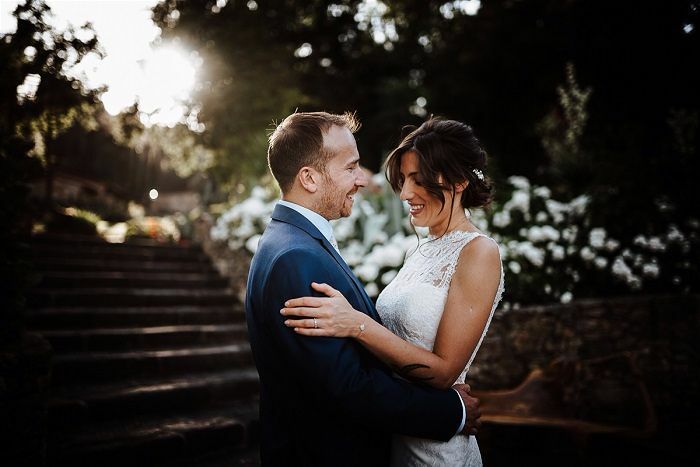 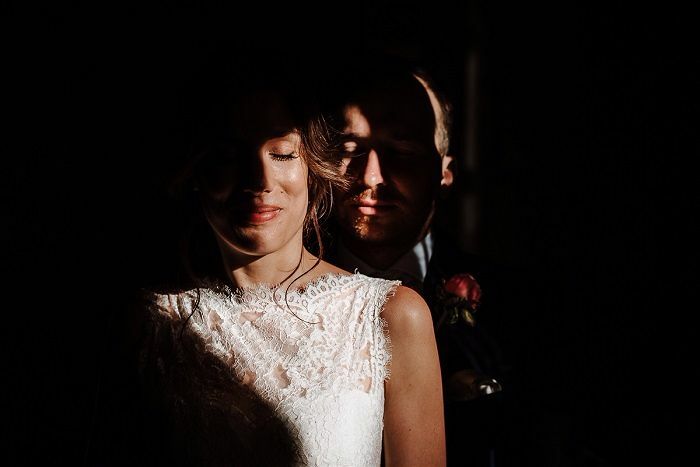 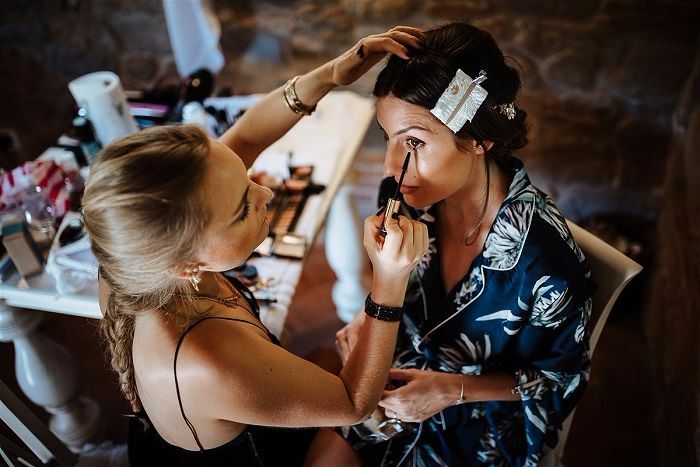 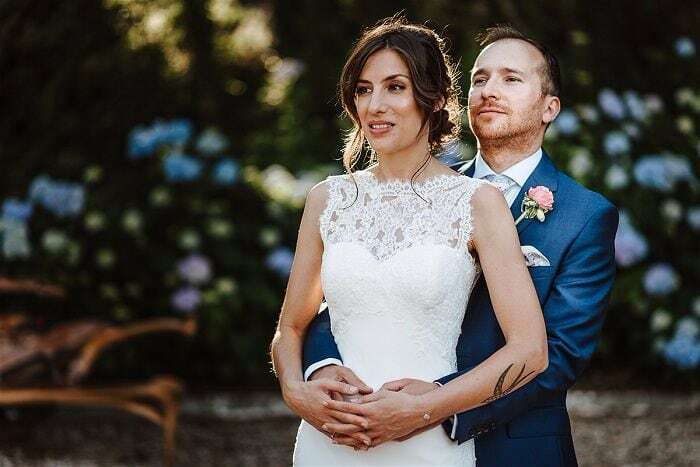 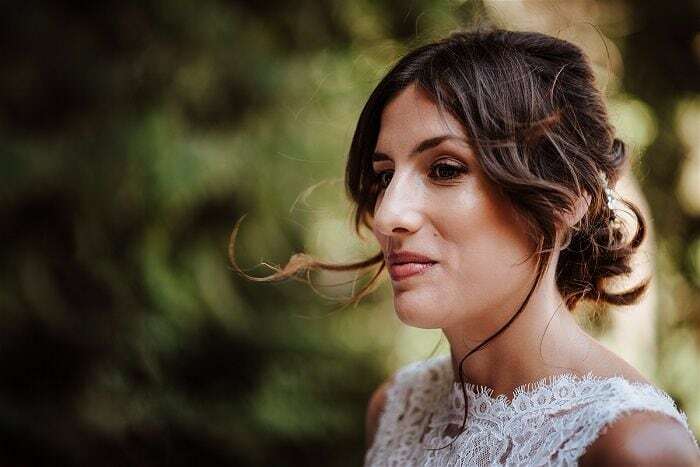 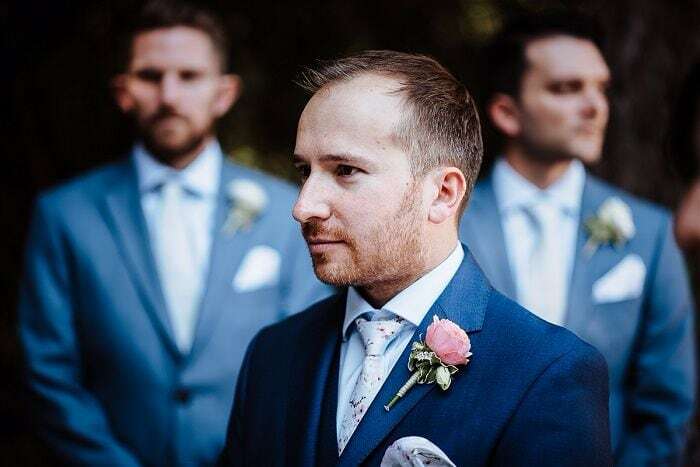 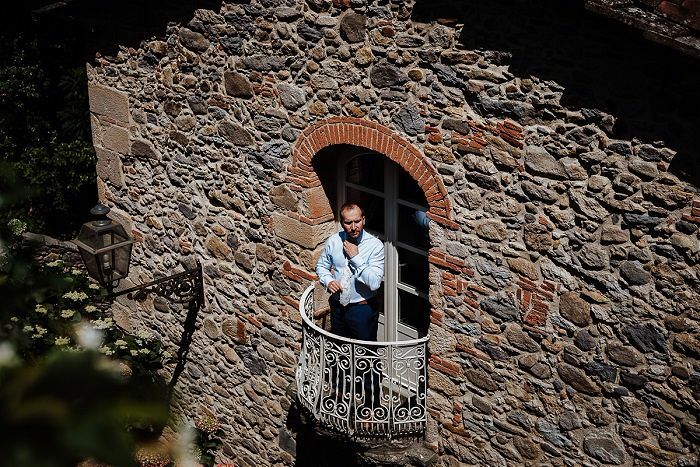 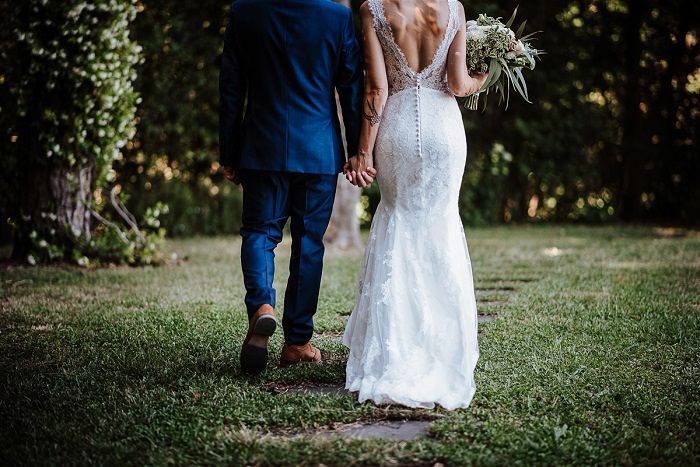 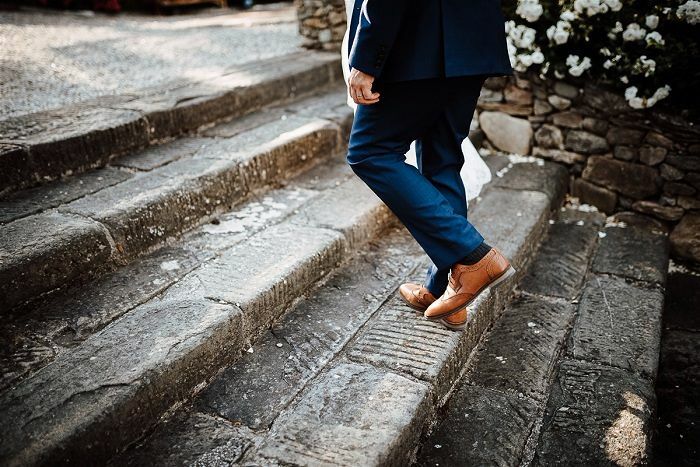 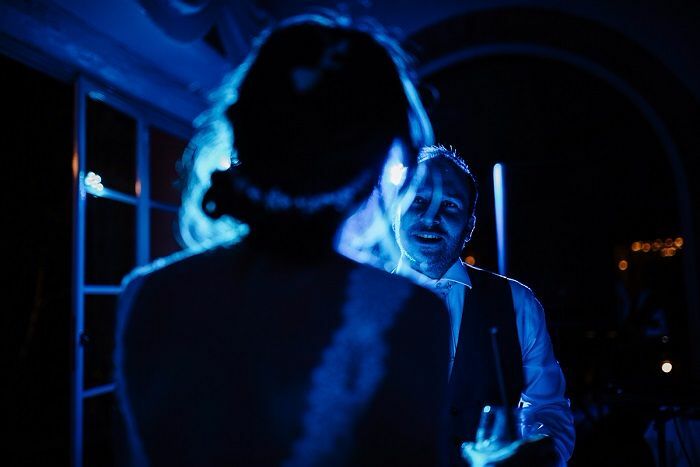 What makes this wedding even more special is that Joanna is member of our closed Facebook Group and we were delighted to find that she connected with the couple’s amazingly talented wedding photographer Matteo Innocenti from Tuscanywed, through the Group. 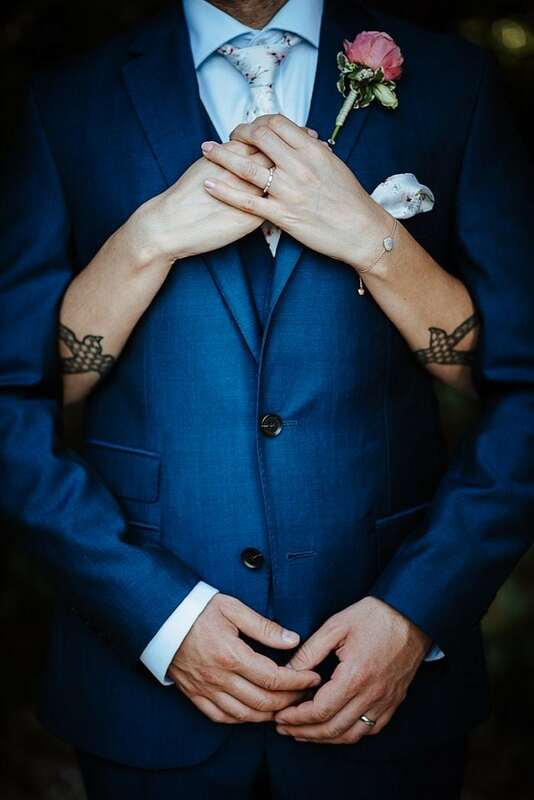 It’s such a pleasure when we see our FB Group working as a friendly, helpful space…allowing couples to immediately connect with wedding professionals. 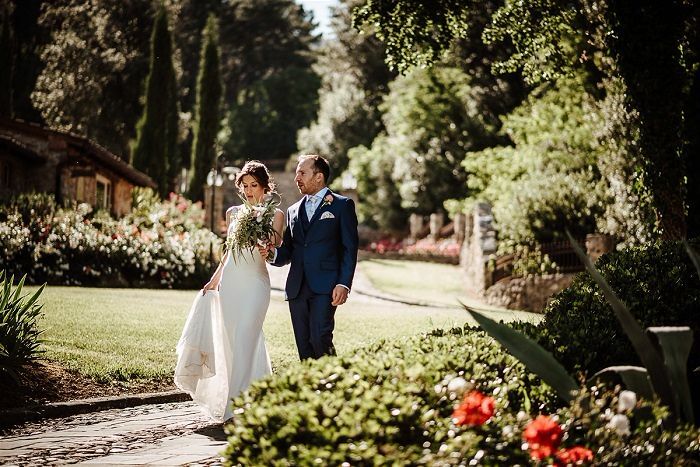 Our thoughts were to go for something different, a unique setting but an intimate celebration and to capture Ciro’s heritage of being Italian. 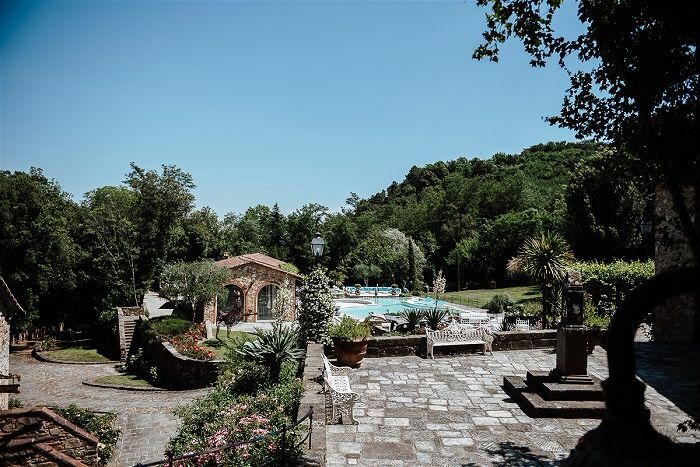 We chose Tuscany for its beauty, it’s breathtaking. 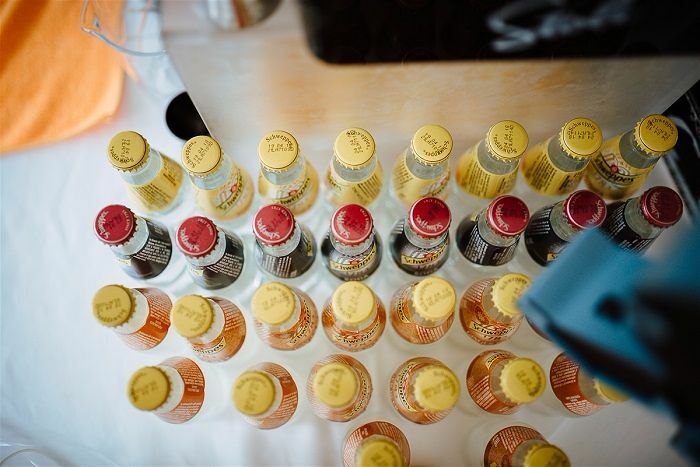 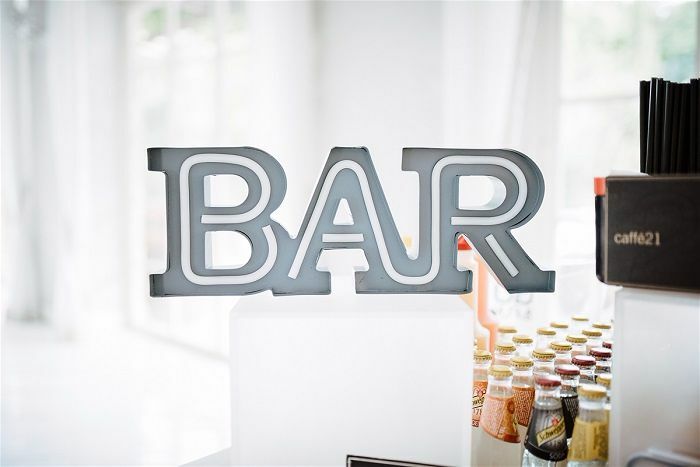 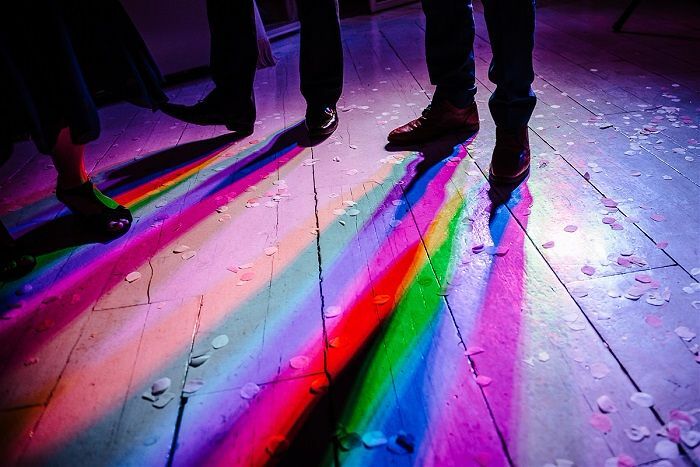 An important factor for us was making the wedding easily accessible for our guests. 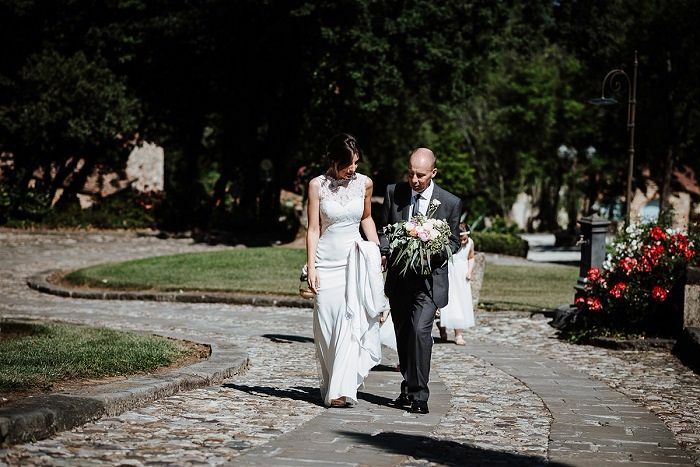 Our venue was a 25 minute drive from Pisa with flights from most UK airports. 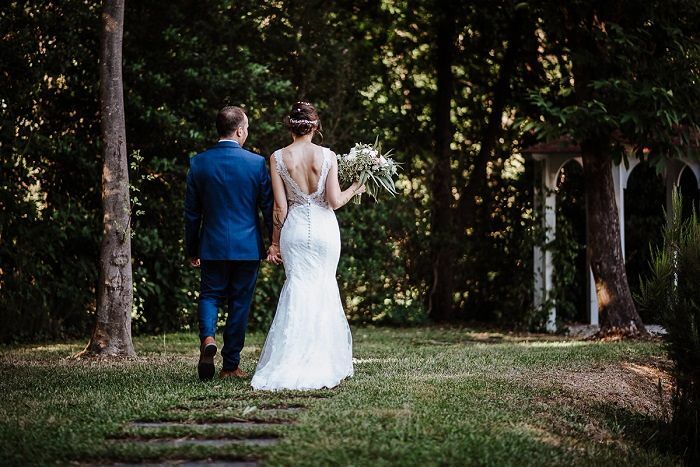 We pictured being amongst green and nature which the venue did not disappoint! 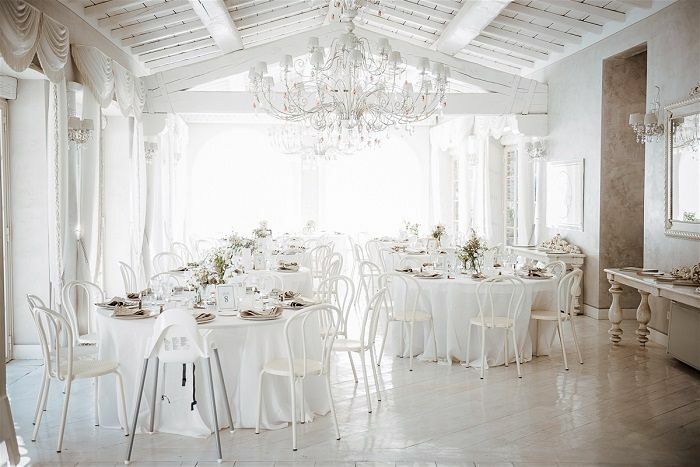 A relaxed mix of Italian and British elements which celebrated both cultures. 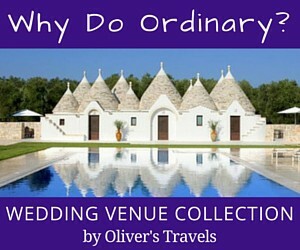 The research started online looking at wedding planners in Tuscany, where we found Weddings in Tuscany. 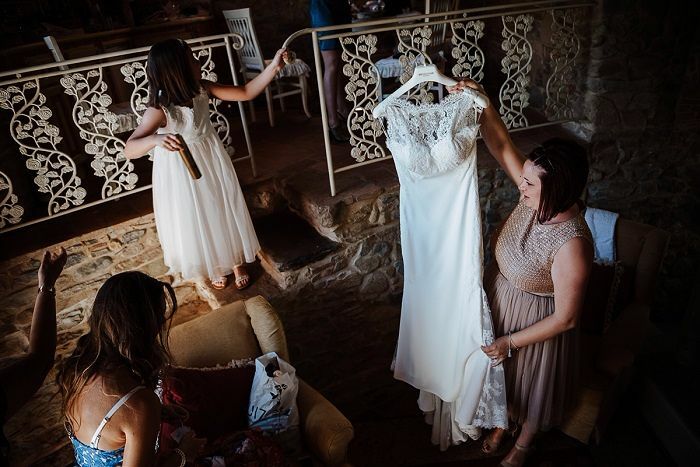 We wanted to take the stress out of the wedding planning and venue search by having an expert from Tuscany to show us the best of the area. 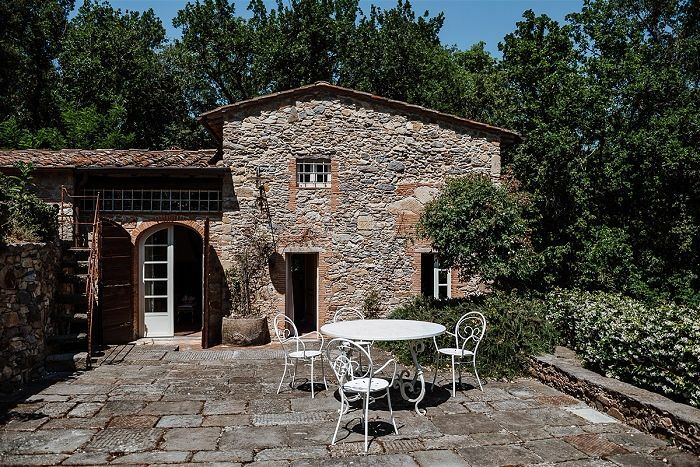 A smaller, more intimate guest list and constant Tuscan food and sun!! 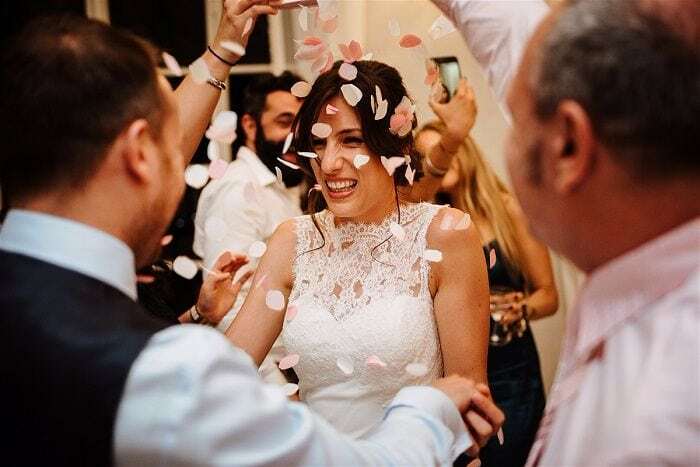 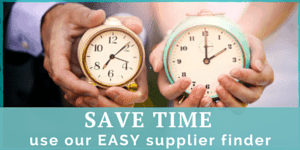 We experienced no more obstacles that an at home wedding would and had constant contact with our planner and suppliers through Skype/email/phone. 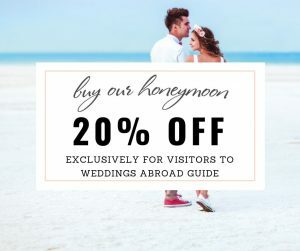 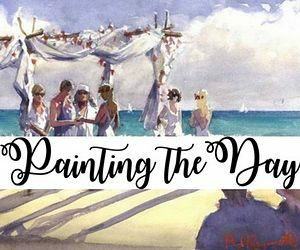 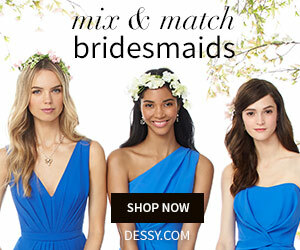 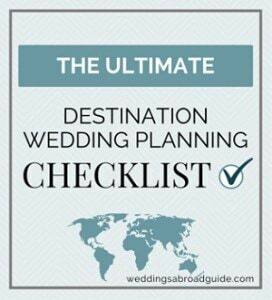 Join websites and groups like Weddings Abroad Guide to find advice from past brides and grooms- they have the best tips. 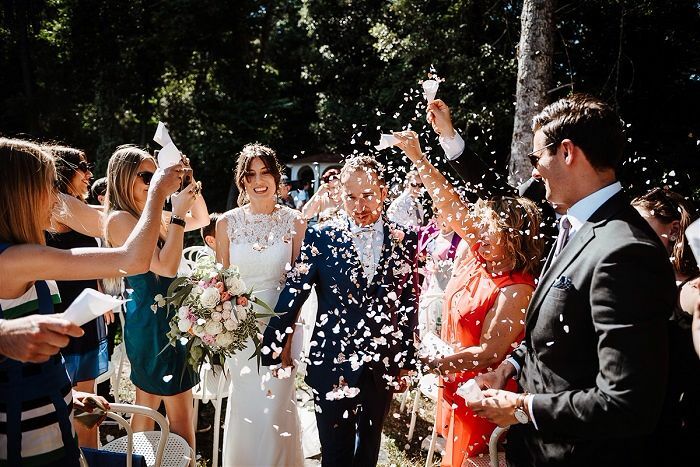 Buy fans for the guests if the ceremony is outside and in direct sunlight, we has some shaded parts but also direct sunlight which was hot for some guests. 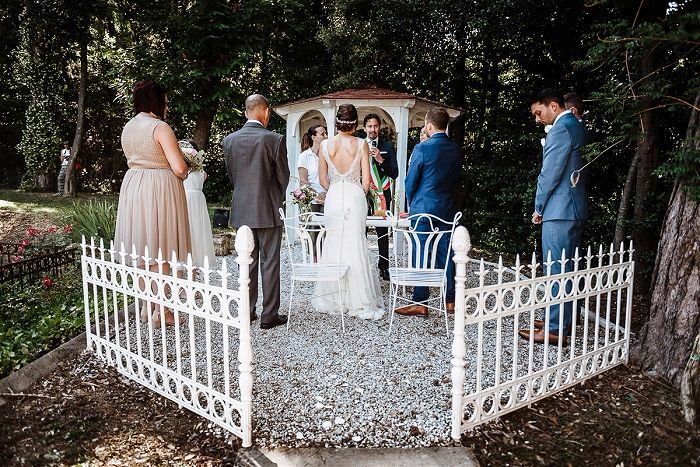 We had a civil ceremony beside the lake at Valle di Badia. 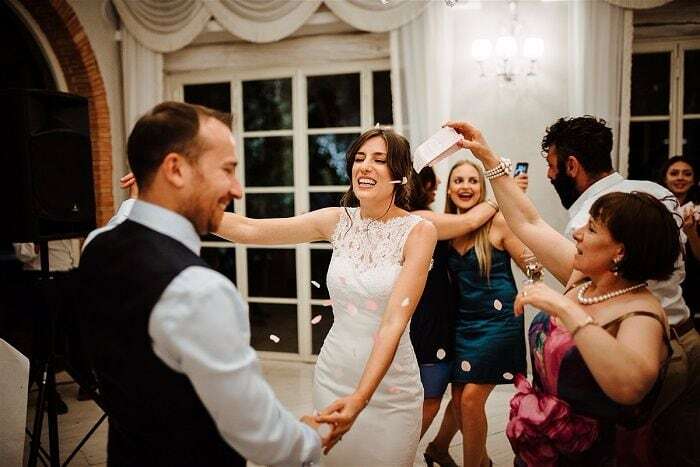 The ceremony was carried out by the Mayor of Buti-the small village where the venue is. 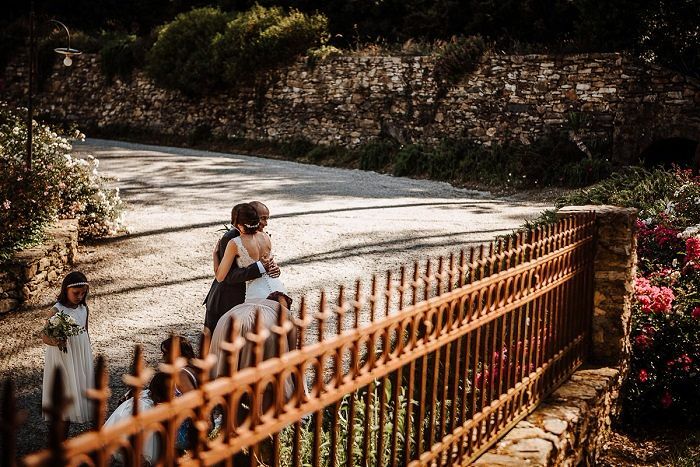 He arrived on a Vespa in typical Italian style. 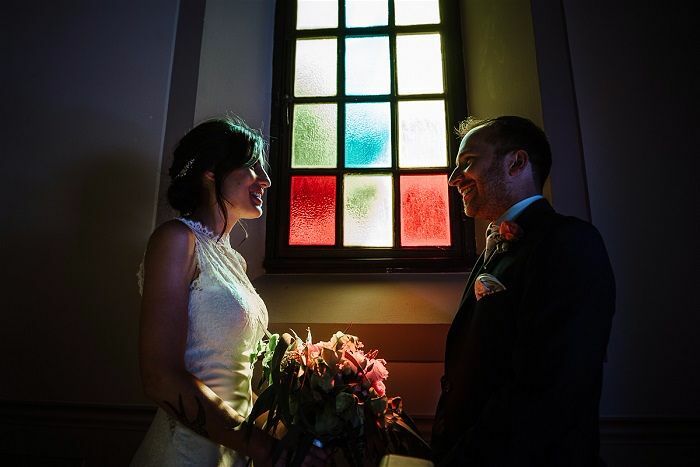 The ceremony was in Italian first- then translated into English by the registrar. 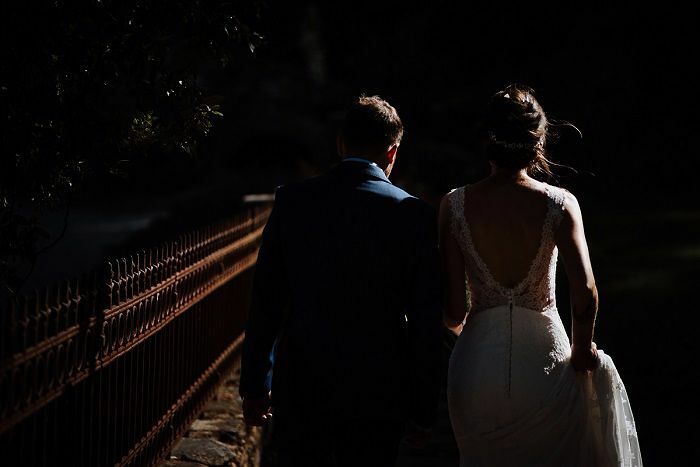 4pm which was perfect time as the sun was shining but the temperatures had dropped. 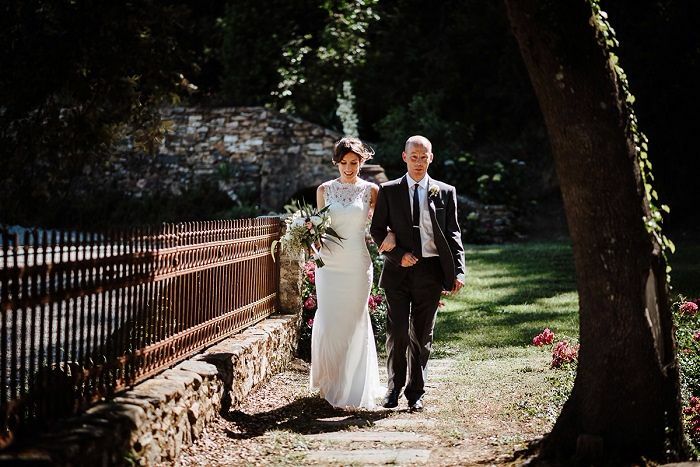 We hired a whole venue called Valle di Badia, it’s an old 1700’s hamlet restored into rustic apartments and barns surrounded by 50,000 square metre of natural park. 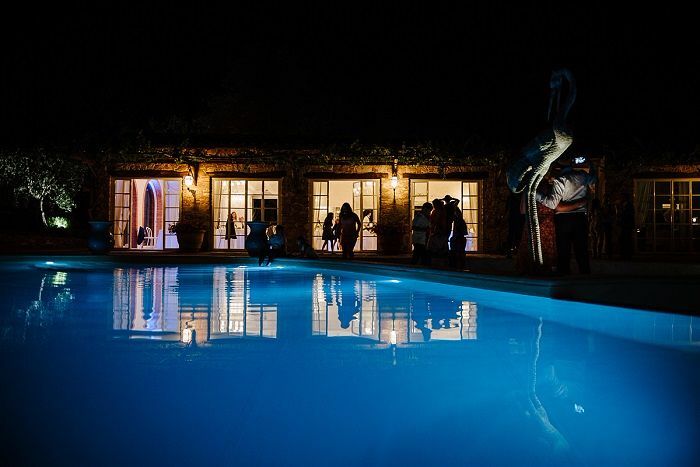 The great features were the apartments that could sleep 26 guests and the magnificent pool which we overlooked from the reception barn whilst eating dinner. 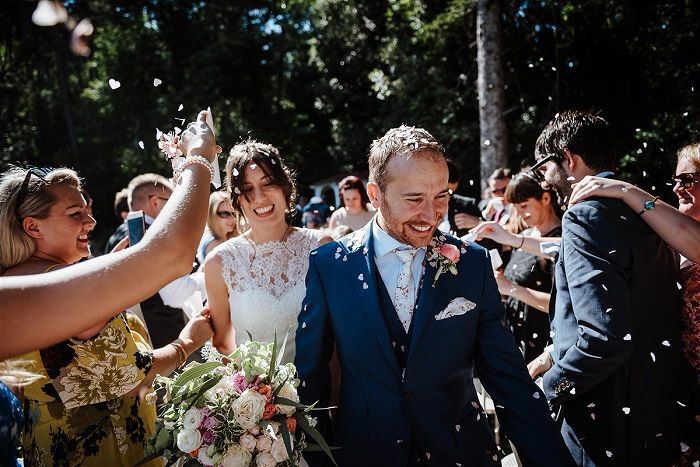 We were particularly drawn to having a venue that could hold the ceremony – in our case by the lake which is surrounded by trees but there is also an on site chapel. 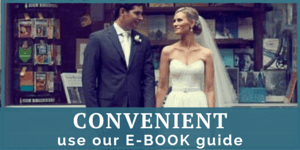 We found the venue through our wedding planner. 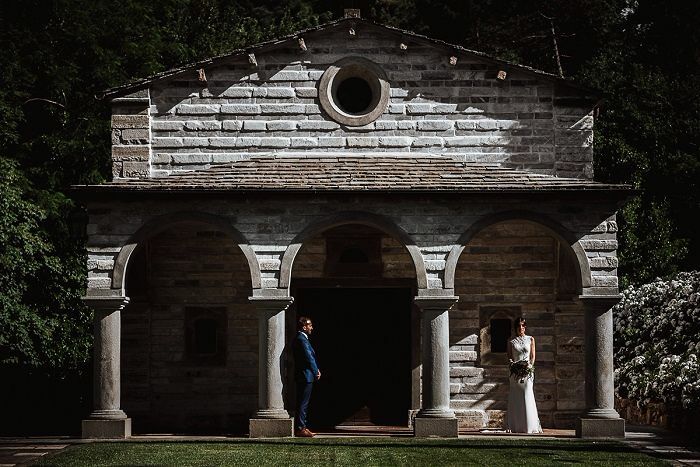 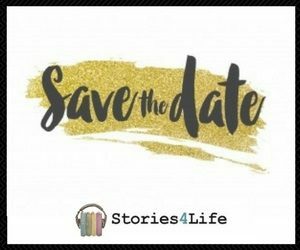 We visited 3, was supposed to be 4 but we didn’t go to the last venue as we knew Valle di Badia was our venue of choice when we stepped in there, we were blown away when we first saw it. 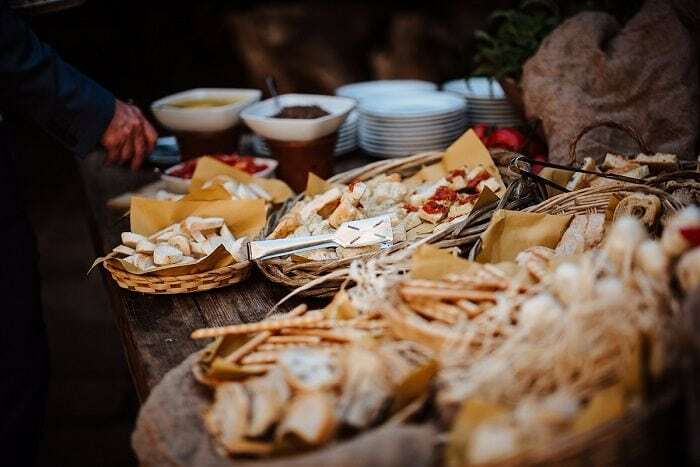 Our caterer was relaxed and asked us if we would like to extend the aperitif hour as the guests were enjoying themselves- it was a great suggestion and nice not to be strict with the timings. 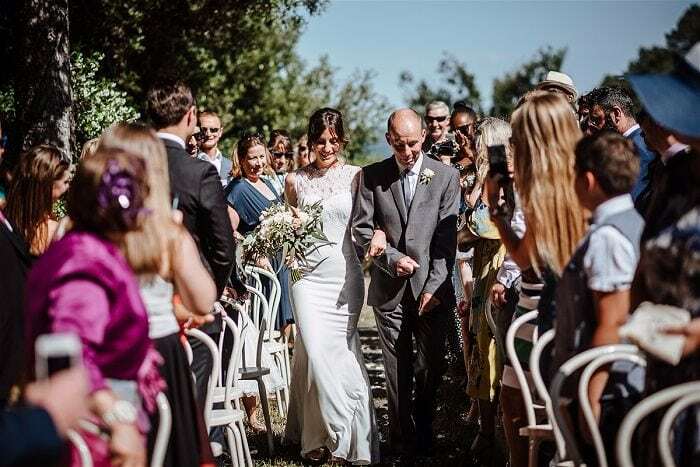 Jo – Walking down the isle I was so nervous but seeing all the faces of smiling friends and family in the peaceful environment is something I will never forget. 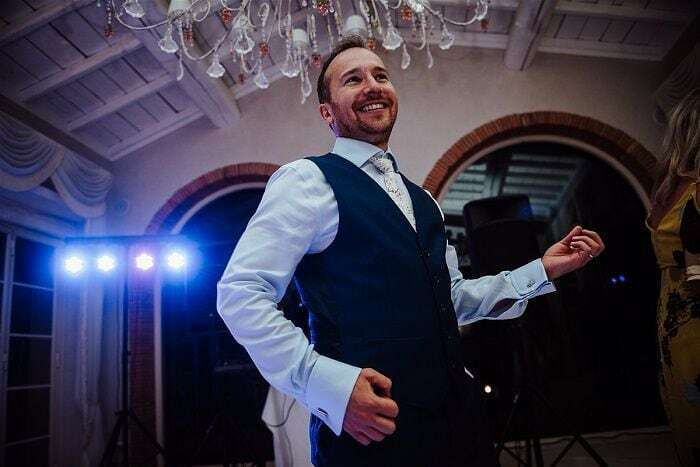 Ciro – All of it! 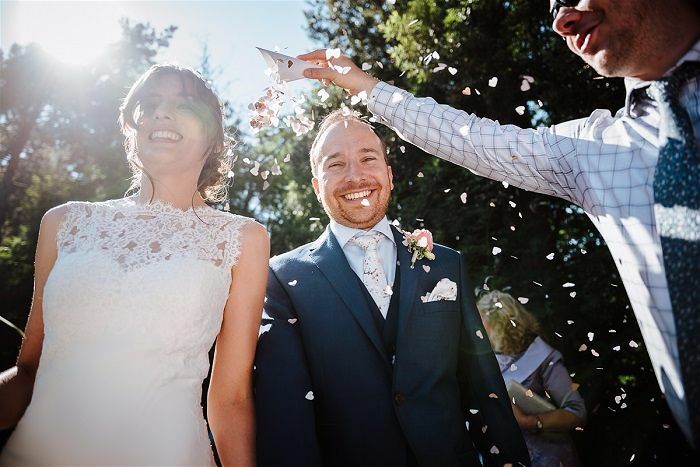 After the ceremony was a special moment just the two of us and realising we had achieved this destination wedding in a beautiful location. 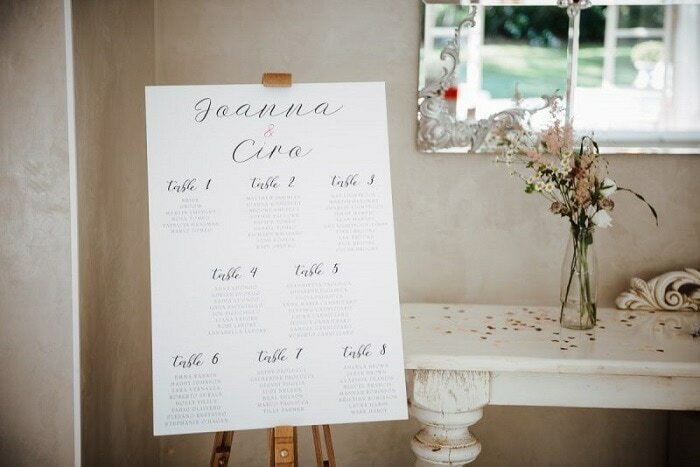 I made the table numbers from old photos frames I collected from charity shops and followed an online tutorial on printing the numbers. 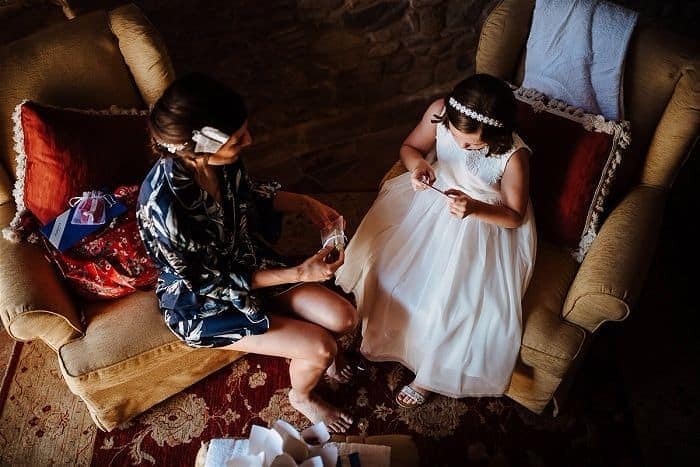 The favours were bottles of Tuscan spices which we made from small glass bottles from eBay and we bought labels from etsy. 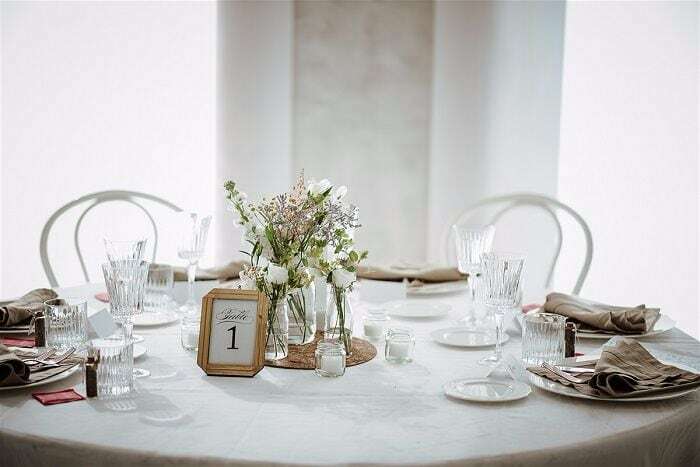 We divided up any decorative items between guests suitcases which was helpful in us not taking too much baggage. 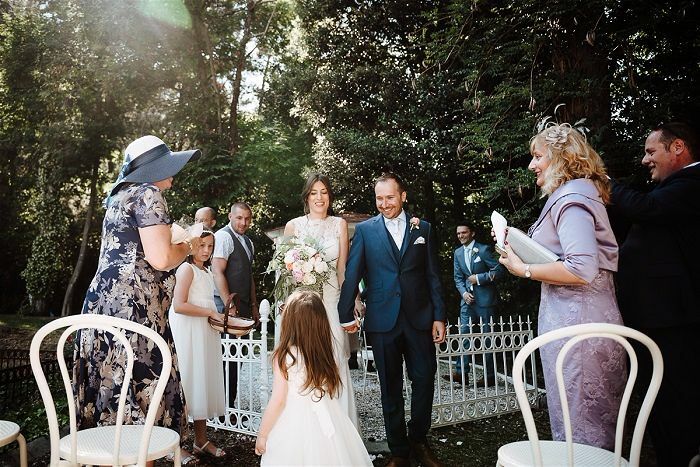 Once we returned from Italy we had a “wedding BBQ” in our garden in London. 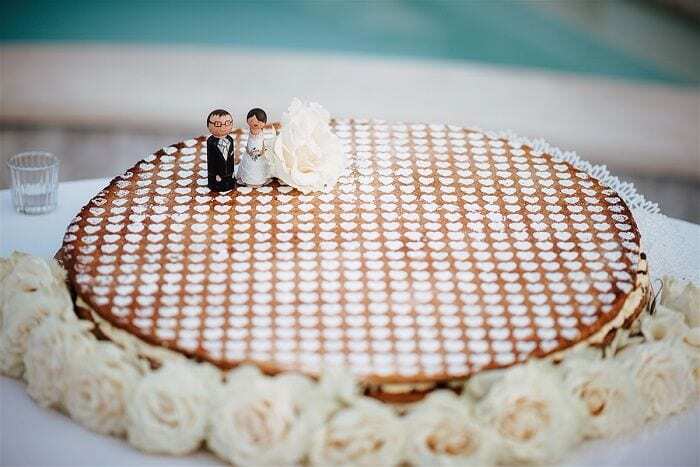 With a photo display and ordering in the same wedding cake. 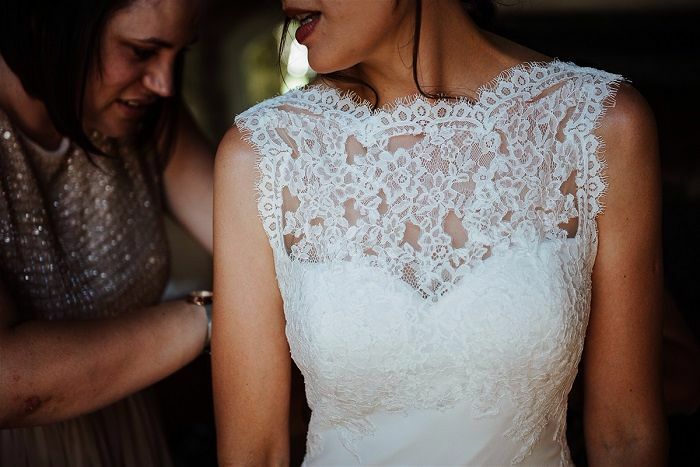 Bride dress: Pronovias with the help of my very talented friends- (I work on a London theatre production in the hair and make-up department so have friends in very handy places). 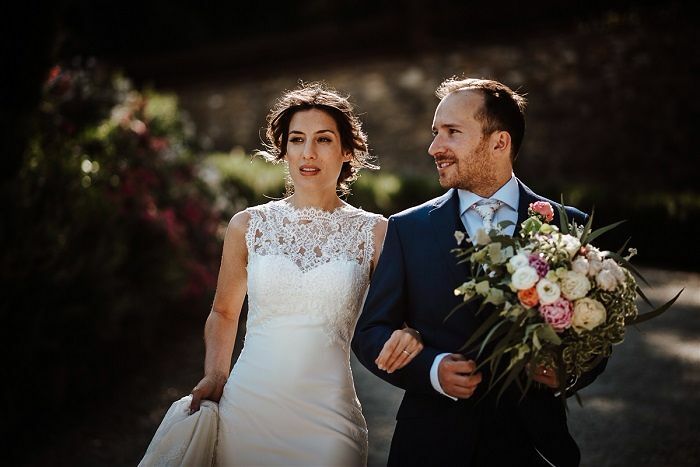 Roberto Surace and Ruth George both costume designers/tailors – who tailored the dress and took off the train, cut it down and sewed back on the lace- 40 hours of labour- I’m forever debited to their talent. 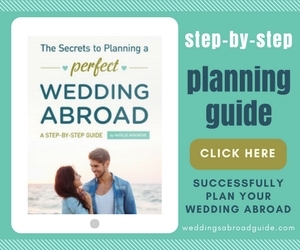 A hand luggage suitcase with the aide of an online you tube tutorial for ideal packing. 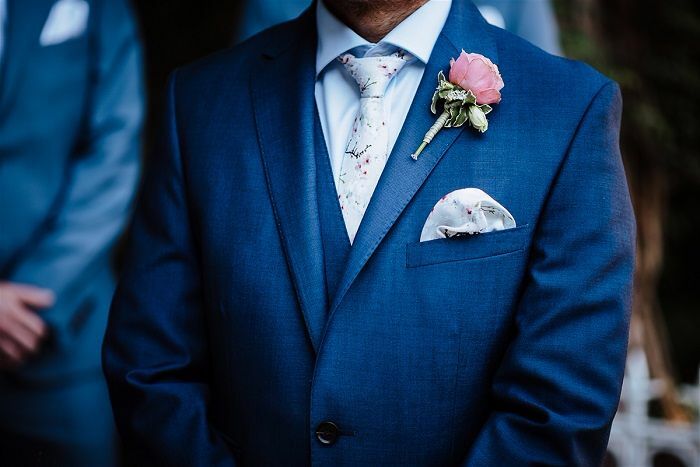 I bought a hand steamer from Robert Days to steam the dress at the location, which worked wonders on the groom and best men outfits. 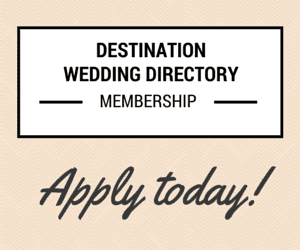 Matteo Innocenti from Tuscanywed is a member of the Destination Wedding Directory. 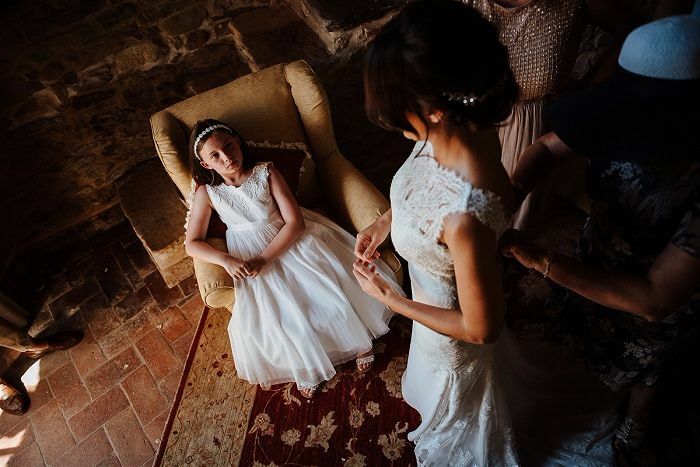 If you would like to find out more about their wedding photography services in Italy and beyond please use the form below as a quick and easy way to contact them, or head over to Tuscanywed’s Profile, to see more or their gorgeous work. 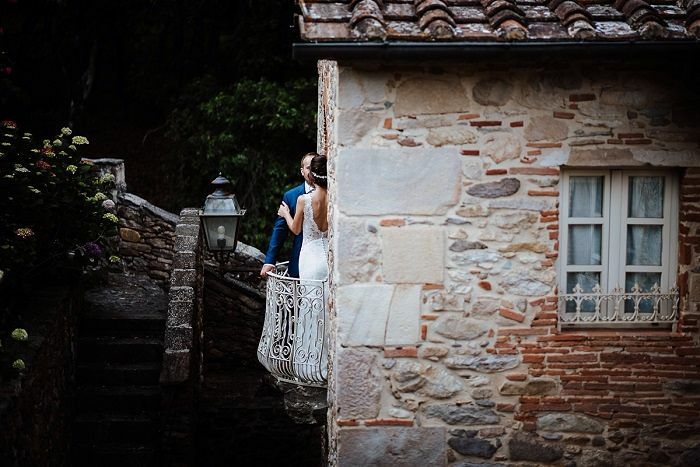 We would like thank Joanna and Ciro for sharing not only their stunning wedding photographs with us, but also taking the time to provide the details of their wedding journey, which will be an invaluable source of help and inspiration to other couples planning a to get married in a wedding hamlet in Tuscany. 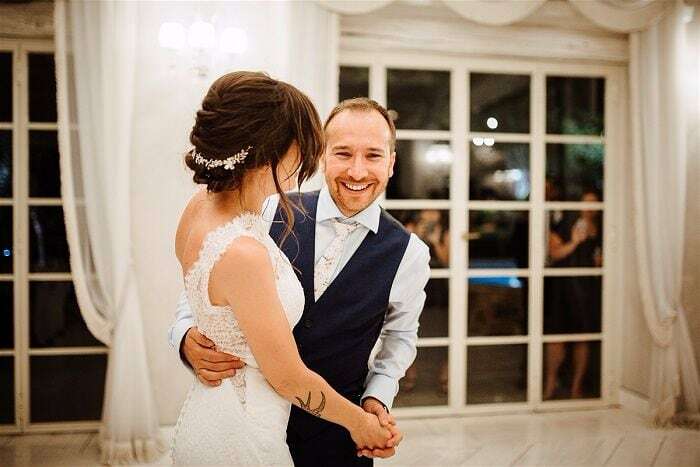 We wish you guys a lifetime of happiness. 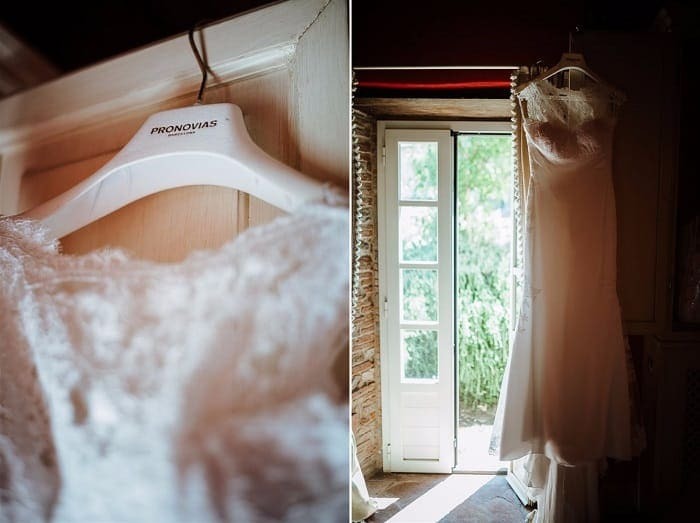 Wedding Photographer: Matteo Innocenti from Tuscanywed – After the event all you have is the memories and the pictures, which is why the photographer was so important to us. 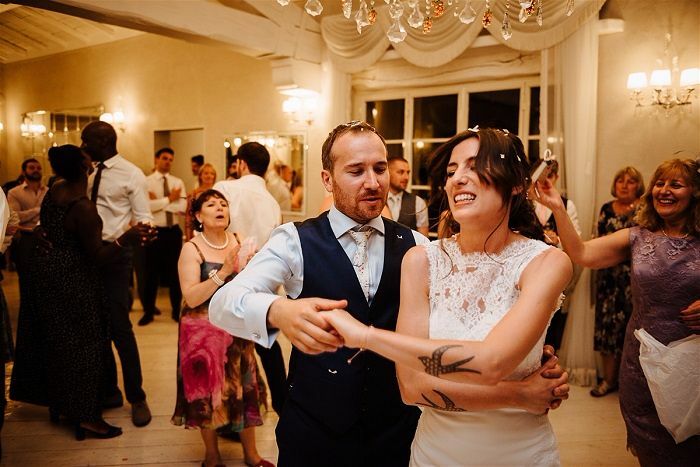 Matteo captured everything we asked, he has a unique style and is extremely talented. 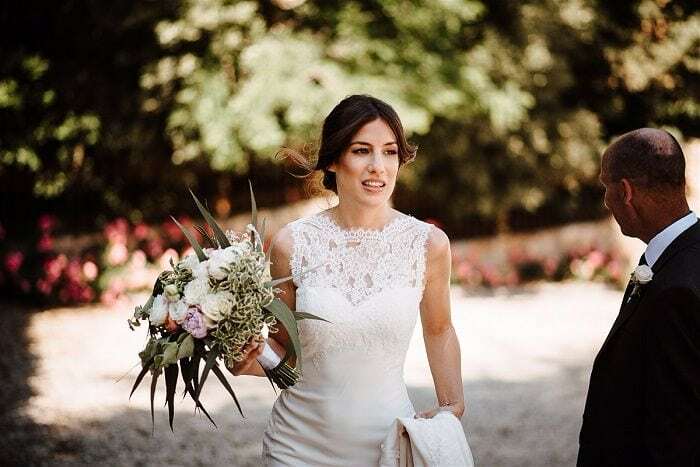 Wedding Planner: Weddings in Tuscany – Francesca Spinelli (Event Manager) was understanding & fun. 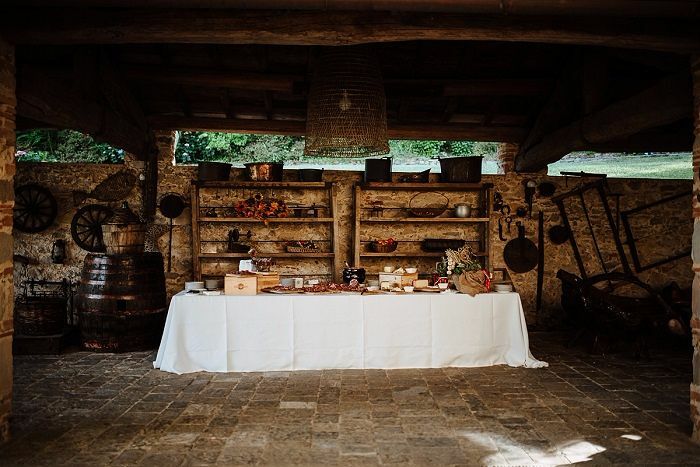 Ceremony & Reception Venue: Valle Di Badia – 17th century wedding hamlet in Tuscany. 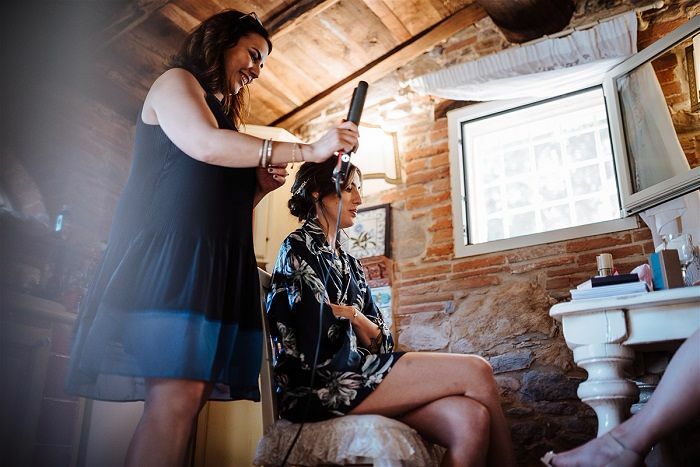 Hairstylist: Portraits Hair & Make-up Agency – The hair and make-up team came from London. 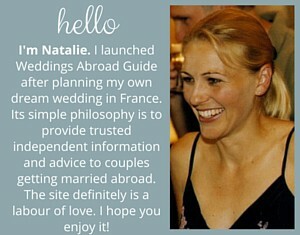 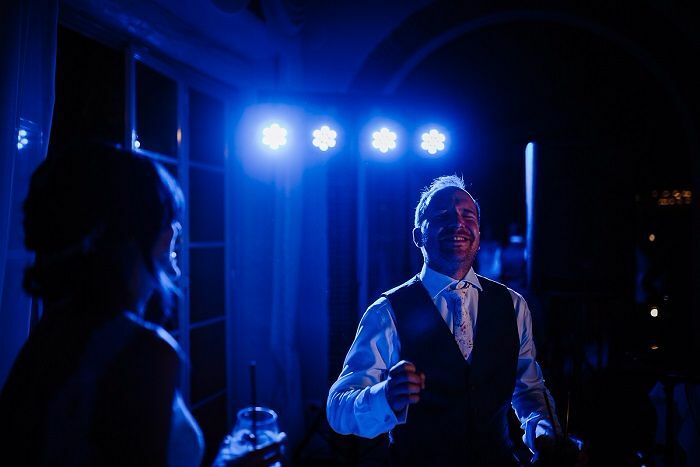 A great talent who travel to weddings in the UK as well as destination weddings. 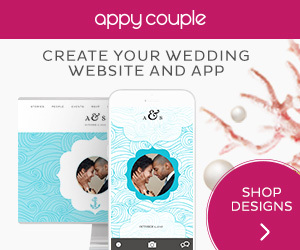 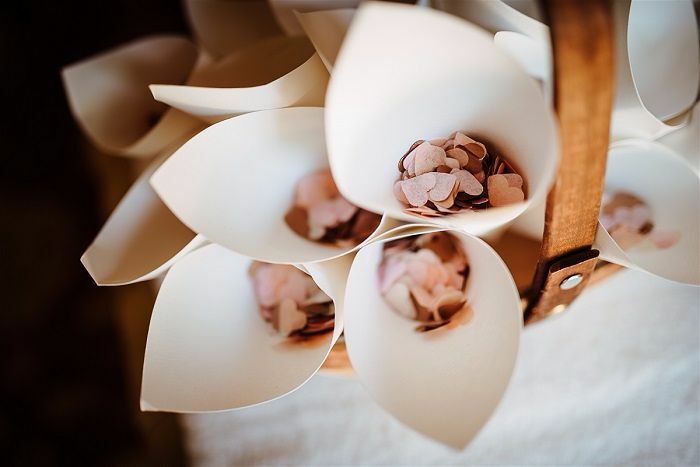 Wedding Stationery: We used Paperlesspost email invites and used gettingmarried to design a wedding website, easy for the guests to refer back to an easy for us to update.